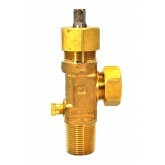 Chlorine gas valves - basic valves are constructed of a robust Aluminum Silicon Bronze (C64210) valve body that offers corrosion resistance. 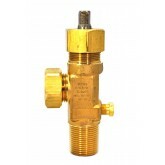 The valves are manufactured in conformance to Chlorine Institute Pamphlet 17 and have One-piece Monel® stem that offers exceptional durability and positive shut-off in chlorine or other corrosive gas service. 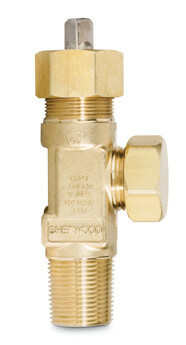 You can choose PTFE (shown here) or Garlock® 6130 packing for easy operation and durable leak-resistant stem seal. 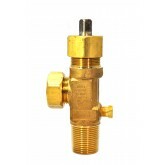 Use of a large wrench flats on valve body makes for easy installation.